"CADtoEarth offers some very exciting capabilities. Here is the partial list of what you can expect from the tool: Upload a model directly from modeling session onto Google Earth or Microsoft Virtual Earth. - Import a section of the surface of the Earth directly from Google Earth into modeling session. - Position your 3D structure on the imported surface within modeling session and then upload it back to Google Earth or Microsoft Virtual Earth. 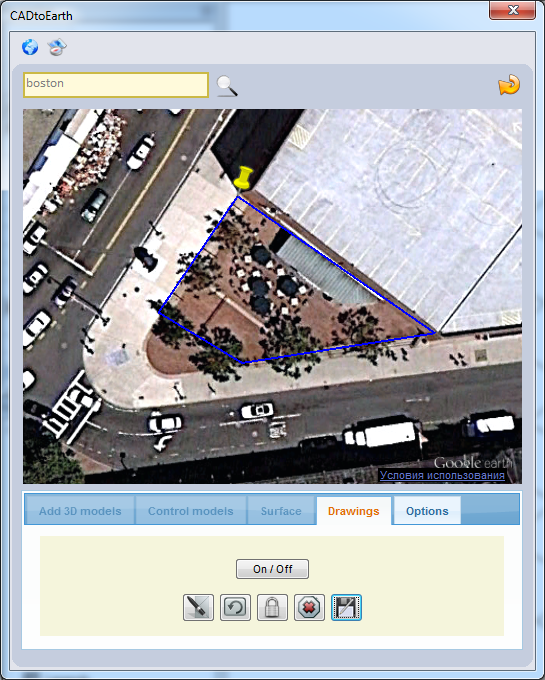 - Perform the same operations on 2D objects in modeling environment and Google Maps." The free CADtoEarth add-in may be downloaded from the Autodesk Exchange | Apps website.